A flash of cool blue jade framed by graceful tendrils of rose pink against a Lily White background, this exquisite 5-tipped star lampshade combines a calming neutral base with a gentle play of colour. Clear teardrop-shaped jewels of light emit a soft pearl glow against a cool pale background, and an elegant screen printed design creates an ornamental flourish. 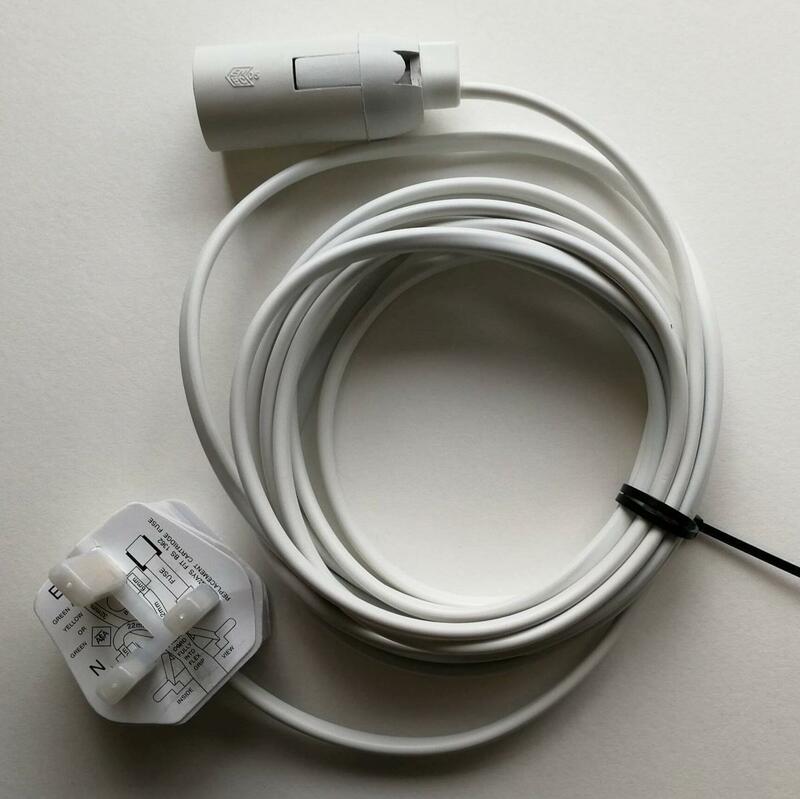 Beautifully restrained with a delicately contrasting colour scheme, the neutral base of this calming lily white ceiling shade makes it perfect as a main lampshade in any room and its softly diffused light is clear enough for reading or close work. Screen printed by hand, traditional over-layering techniques create an intricately ornate lantern which is at home with any colour theme and perfect for wedding decor, keepsakes and wedding favours. 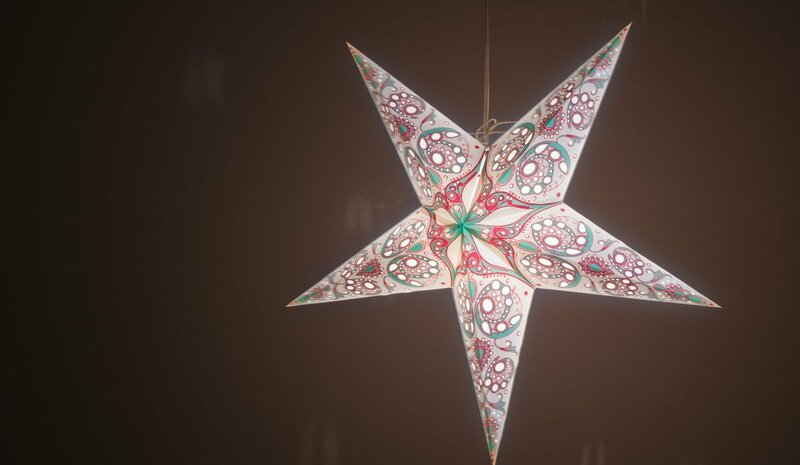 For an elegant seasonal touch, display this hand-made neutral paper star in a window or over a table at Christmas. 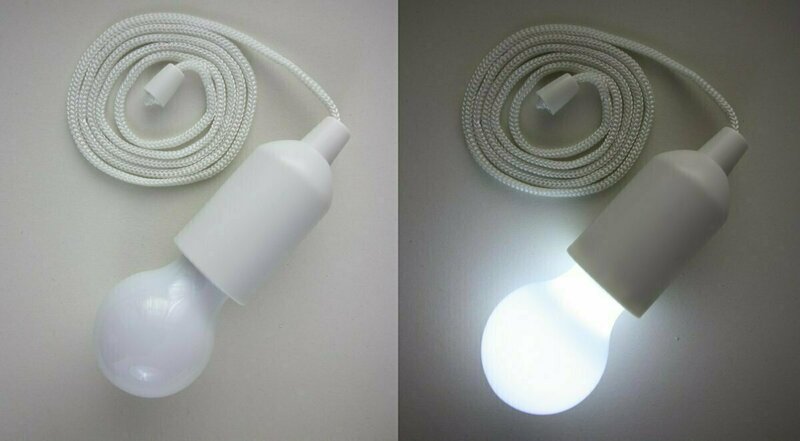 Use with a hanging LED light if there is no power source. 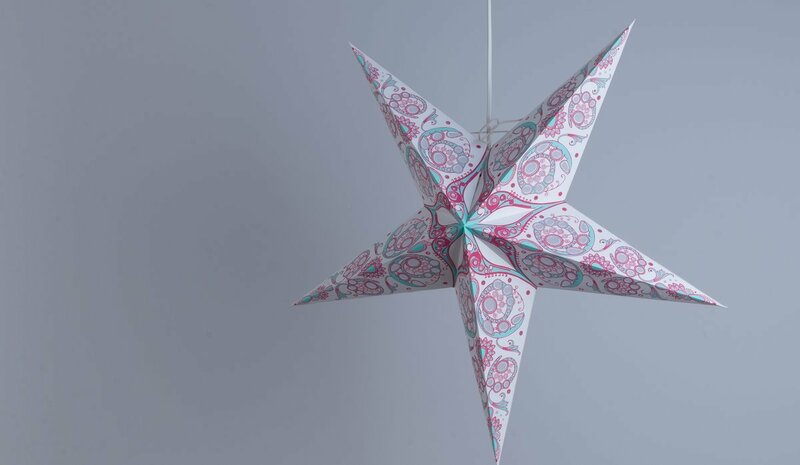 View the rest of the Japanese Lily paper star range below!